So last week Monica Valentinelli mentioned my e-book pricing/reading post. Turns out, she's given this topic a good deal of thought, based on this wacky notiong of "experience." So I thought it would be nice for her to swing by and share her genius and experience with us. She's an author and game designer whose work can be found here. 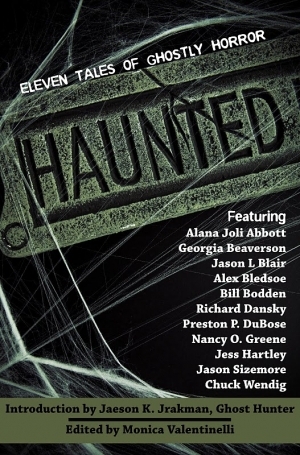 In addition to her own writing, she's edited HAUNTED, a book you'll want to check out. There are three types of e-book pricing discussions you'll often encounter on the web. The first is from the reader's perspective and deals with what someone is willing to pay for versus what a particular item is worth. In other words, statements that say eBook prices should *all* be can be translated to I would like to be priced at X amount because that's what I think it should be. Nathan Bransford has taken some reader polls about e-book pricing; you can read the shifting changes here. The third discussion is nebulous at best and can often be described as economic theory infused with concerns about piracy. For the sake of streamlining this discussion, I'm not going to dive into the differences between a textbook and practical experience. Now that you have some background, I'm going to briefly touch on why current e-book pricing is akin to walking into an M.C. Escher painting. Unlike the products you buy in a physical store, with eCommerce you can change the price on-the-fly, discuss it, and watch its immediate effect on traffic and sales. You can, as an eCommerce retailer, get up-to-the-minute stats on who visited your website and improve the customer's experience. That's the Amazon, DriveThruFiction.com, Smashwords, Barnes & Noble side of the story. 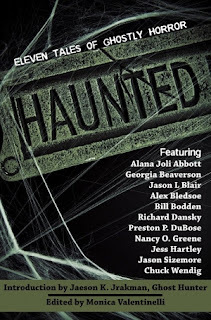 Publishers (Yes, authors who self-publish are included in this) are at the mercy of whatever those retailers do. Some, like Amazon, are more aggressive than others. DriveThruFiction.com (Disclaimer: I'm currently doing some eCommerce consulting for the site) is almost the opposite and offers tools for direct e-mail marketing to customers. Each retailer takes a portion of the sale and has specific requirements for formatting; Smashwords is different from Amazon, for example. In addition to the fees taken, there are other things that happen outside of the author or publisher's control like market share, on-site promotions, internal ranking algorithms for sales, etc. All of these things combined affect how an e-book is presented to a potential customer influenced by the age of the release and demand. New books typically sell better than old books. You may have seen authors who publish through traditional houses request that their readers buy a new book from the same store in the same week. This is part of the reason why. Improved sales rankings directly affect a book's visibility in a retail store, whether it's online or not. Price is only one consideration when offering a product online. There are other factors including: popularity of genre, visibility of name/platform, cover art, description, and presentation. Nascent authors typically (unless you're lightning in a bottle) don't sell as well as established authors because they don't have the existing readership to support their sales. Even then, established authors now-a-days would have to throw some marketing behind their other books to ensure that their readers know they exist in the first place. I feel getting readers is, more than anything, where introductory pricing discussions come into play. Pricing a book at ninety-nine cents is a way to encourage new readers to buy into a series or an author's work, provided a) there's more work to buy and b) the reader reads the story and c) reviews or talks about it. By its nature, ninety-nine cent pricing demands a high volume of sales to be profitable. Rounding up to a dollar, let's say you need/want to make a hundred dollars on your twenty-thousand word e-book. (Ignoring cover art, time to write, formatting, etc.) To make a hundred dollars, you have to look at your margin. With most sites, you'll make seventy cents a copy. Wow, sounds like a lot, right? Okay, well you'd need to sell approximately 143 copies to make that profit. Now price your e-book at $2. Your margin is $1.40. So now you need to sell significantly less copies to make the same amount of money. What's the benefit of pricing your e-book at a dollar more? You can always lower the price to be on sale at ninety-nine cents. Is a hundred dollars a reasonable profit for a novella? Well, if we calculate the value of your book using five cent a pro word rates, then your 20K novella is $1,000. Suddenly, you need to sell significantly more copies of your e-book to hit $1,000. Mind you, that does not include cover art, editing, marketing, formatting, etc. When all is said and done, I suggest running a cost analysis on what you put into a book versus how much you're making. Then take a look at indirect impacts to determine whether or not it was worth it. Having that information can help influence your decisions about pricing, too. Books still have a high production value in the sense that authors don't wake up and puke out a polished 100,000 word novel in a day (or even a 20,000 word novella). The challenge, of course, is that the reader doesn't see the effort that goes into it. They see the file size (considerably less than a photo or a movie), the cover, or the hook. They buy based on an emotion. What you're selling the reader, in my opinion, is a mini-vacation. If they prefer Neil Gaiman's vacation to the one you're offering, then guess what? They'll not only buy his vacation instead of yours, chances are they'll pay more for it, too. Right now, traditional publishers may skew pricing in favor of more popular authors primarily because readers will pay more to get their stories. In other words: projected volume comes into play. When you think about the number of copies you can sell versus what you will sell, then the conversation changes. Some authors are totally fine selling less copies but making more money. Others are going for the numbers and the introductory prices hoping that'll boost their other book sales. In the end, pricing discussions comes down to what you want to get out of your particular book and why you're offering it for sale in the first place. Readers will have a tough time navigating the exponentially greater number of books being sold every year. Authors who foray into self-publishing will experiment as new formats, e-readers, and eCommerce sites become available. Even then, even with all these discussions, e-books are still very new. On the big publishing side? Check out this article where e-books account for less than twenty-five percent of an individual publisher's sales. It will take at least five to ten years for the market to sort itself out. The trick will be to figure out how you, as a reader or as an author, will find your niche while the eCommerce sites try to figure out theirs. Monica is an author and game designer who lurks in the dark. By day, she's the Marketing Director for Steve Jackson Games and John Kovalic's business manager. By night, she pens short stories, novellas, and hobby games. For more about Monica and her published works, visit http://www.mlwrites.com. Really great post. Very interesting and insightful. E-Publishing is here to stay, whatever people say about it. Good ideas. Like you said, it really matters whether you are trying to get your book out there or earn a living wage. Selling a novella for a buck is no way to earn your keep as a writer. Damn right and well said.